The 10 Best Garden Centers and Nurseries in New Hampshire! Since the earliest days of homesteading in New Hampshire, the Granite State has had a passion for planting. Lucky for us, our state offers garden centers among the best-of-the-best, from nurseries and greenhouses to supplies and advice. 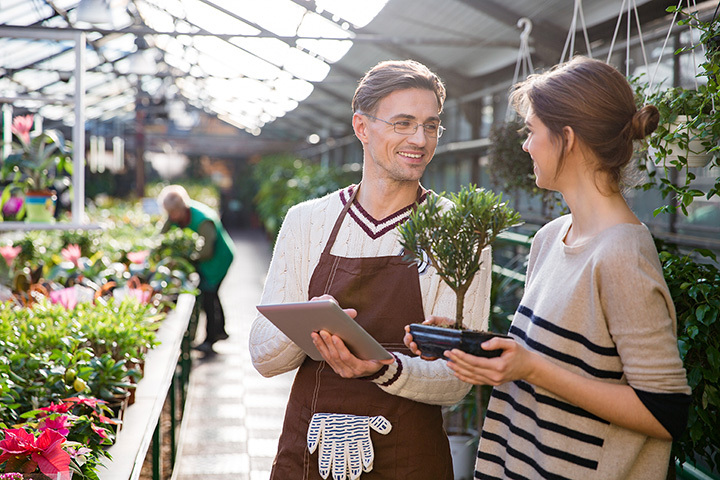 Whether you’re starting from scratch, or looking to spruce up an already existing environment, the garden shops of the Granite State await! Set in a stunning 1765 house and 1846 barn, Countrybrook Farms is a charming location for an incredible Garden Shop. With stunning variety, including basic supplies, country and garden decor, and a year-round Christmas shop. This Hudson horticultural hub also boasts two separate supply areas: one for the professional landscaper, with speedy checkout so they can get back to business efficiently, and another for the devoted homeowner who loves their lawn. Stumped for design? Countrybrook’s knowledgeable staff is standing by ready to assist in selection and combination, for projects from small yards to grand gardens. Stonefalls walks the line between inventory and service, offering vast variety while maintaining friendly, familiar help to customers. Walk through their example area for plenty of new ideas, or just browse the 50,000 types of available flora and gorgeous garden ornaments. With house-made compost available, as well as landscape consultation, this Henniker location is a one stop shop for everything needed to make your thumb that much greener. Convenient to Concord, this Boscawen nursery checks every botanical box. From fruit to flowers and everything in between, Black Forest is a haven for those with a passion for planting. Available design advice, a vast selection of product, competitive pricing, and incredible staff make this gem an easy add to our list. Delahunty is a full-service destination, with everything from supplies to snow removal. With a passion for free advice and fresh products, this Windham location seems to excel at every challenge they take on. Whether you’re looking for wedding flowers, want to overhaul your outdoor design, or just pick up a few pretty things for your personal garden, Delahunty is a lush option. Appletree is a nursery for those whose passion for plants is ongoing and intense. Offering everything from hanging baskets to shrubs to mulch, loam, and stone, this Winnisquam winner lays claim to quality product and outstanding service. Plan a new project, update an existing one, or even just wander the gorgeous setting on a sunny afternoon. Heath’s may be the true “happiest place on earth” for the gardening crowd, consistently delivering incredible service and lush products. Plan your new undertaking, or skip the hard part and head to Heath’s Farm Stand, which sells everything from cut flowers to veggies and organic pasture-raised eggs. A year-round destination for all things garden, offering a full range of services from plant sales to landscaping. Pop in for a great hostess gift of a plant, or spend an afternoon leisurely surveying the greenery, either way you’ll be hooked. If you’re looking to buy hostas, look no further than this incredible South Hampton find. A genus of perennial plants that come in over 40 varieties, hostas are a great addition to any outdoor area. Whether you live locally, or are looking to have something shipped, NH Hostas has cornered the market on a quality experience from seed to sale. Their attention to detail and passion for planting has earned this South Hampton location well deserved national recognition on the hostas scene. Rolling Green is that magical sort of place where the passion of the staff beams overwhelmingly. Dedicated and knowledgeable service elevate this Greenland location and make a visit one of the more enjoyable ways to spend an afternoon. Lucky for us, this doting devotion is matched by equally impressive inventory, from shrubs to flowering plants to environmentally-friendly garden care products. Though they aren’t in the plant business, Greenlife Garden Supply is an incredible stop for all plant-adjacent goods. Whether you grow the old-fashioned way, in a greenhouse or hydroponically, find everything you need for your best ever yields sold at a good price and with a smile.